I took this picture, which you are encouraged to share, with the sole purpose of creating awareness about the problem of light pollution. The solution is not to switch off all lights, but rather to turn off what is not required and use properly designed lighting fixtures whenever illumination is needed. Properly designed (full cutoff) lighting sends the light where it is wanted, namely the ground, instead of wasting it up in our skies. 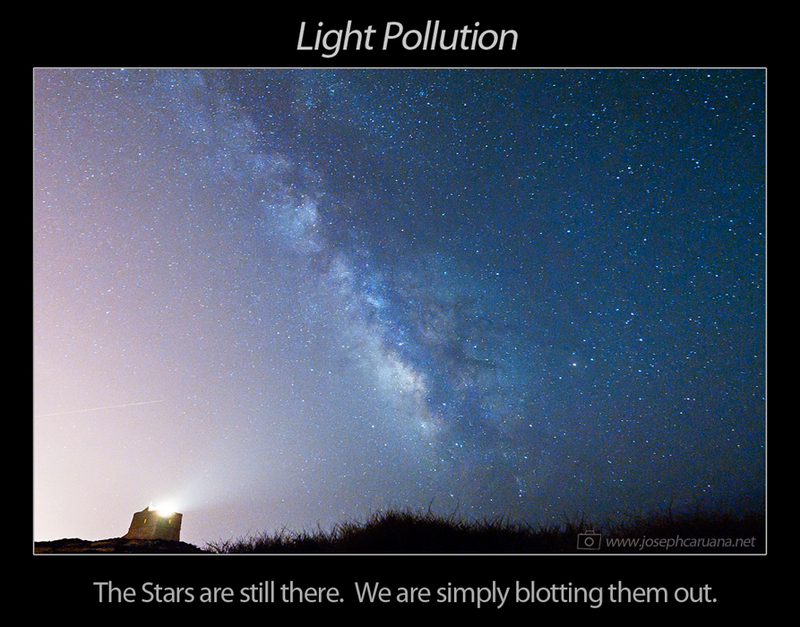 Not only is poorly-designed lighting a waste of energy, it also blots out pristine starlight which has travelled for thousands, millions, even billions of years only to be shunned at the very last part of its voyage.